DB-L20(Replaces Sanyo DB-L20, DBL20) Digital Camera and Camcorder battery. Type: Lithium-Ion. Voltage: 3.7 V. Capacity: 720 mAh. Height: 39.5 mm. Width: 35.5 mm. Depth: 5.7 mm. Price: £13.99. Postage and packing included. Replaces: Sanyo DB-L20, DBL20, DB-L20AU and more. The DB-L20 is an equivalent to many other batteries. Click here for details. 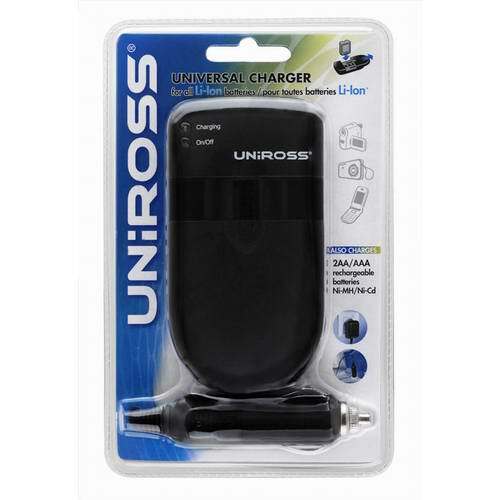 This DB-L20 Lithium-Ion Digital camera battery fits some Sanyo digital cameras and camcorders. 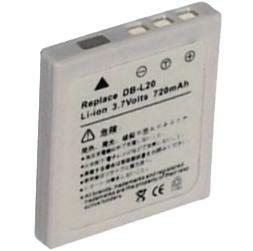 It is a DIRECT replacement for the Sanyo DB-L20 and DB-L20AU battery. This Sanyo DB-L20, DBL20 replacement Lithium Battery is supplied with a 2 year manufacturers warranty.